Anti-Pitchfork: Stone Temple Pilots 1993 Saturday Night Live rehearsal footage surfaces for first time! Stone Temple Pilots 1993 Saturday Night Live rehearsal footage surfaces for first time! For weeks, music fans have been mourning the death of Scott Weiland and his beautiful voice as well as admitting he was a deeply troubled figure. Now there's a new way to relive the legacy he left behind with a 37-minute video of The Stone Temple Pilot's 1993 rehearsal performance on Saturday Night Live. The episode is from Season 19, episode 7, hosted by Nicole Kidman, which aired on November 20. According to Consequence Of Sound, for the actual performance the band played "Naked Sunday" and "Creep" off Core, but this behind the scenes footage also features an early version of "Hollywood B*tch," which wouldn't be officially released until 2001's Shangri-LA Dee Da. Alternative Nation notes the audio version of this rehearsal has previously been released, but this is the first time its been synched to the original video. The first 10 minutes or so are relatively boring as the band paces about on stage and the engineers set the levels for the night, but things pick up a bit when Weiland starts talking to the announcer off stage. Weiland calls out to him and asks that he pronounce the band's name correctly, only to realize that the announcer said it correctly the first time. The singer promptly retracts and calls himself a "d*ck." 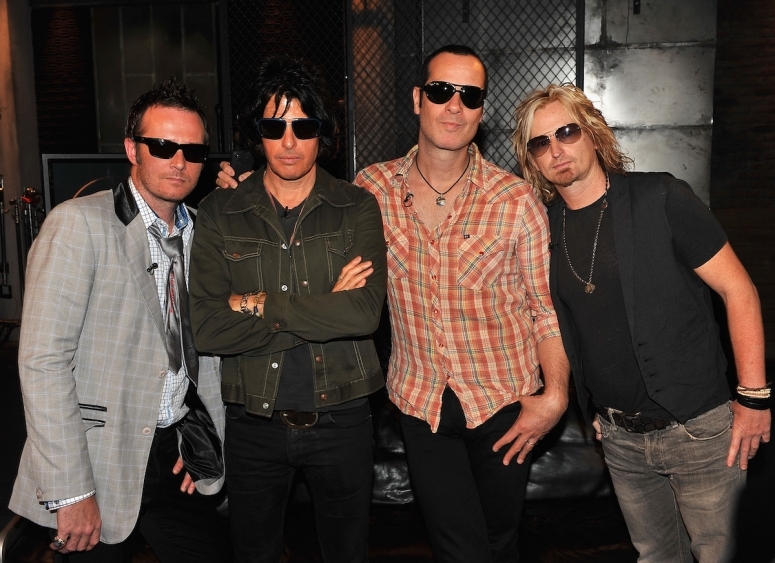 "It's a common thing, a lot of times people say 'The Stone Temple Pilots' or 'Stone Temple Pilot,'" Weiland said on stage. From then on the announcer purposely miss pronounces the band's name. "Hollywood B*tch" starts around the 27-minute mark as the camera starts to swivel around, but you get a sense for the energy of that song, even during a laid-back rehearsal performance. Labels: Stone Temple Pilots’ 1993 Saturday Night Live rehearsal footage surfaces for first time!